We started the weekend with our toughest matches, against Imperial 1 and St Mary’s 1. Despite our best efforts, Imperial 1’s handler movement and St Mary’s wall proved far too effective. 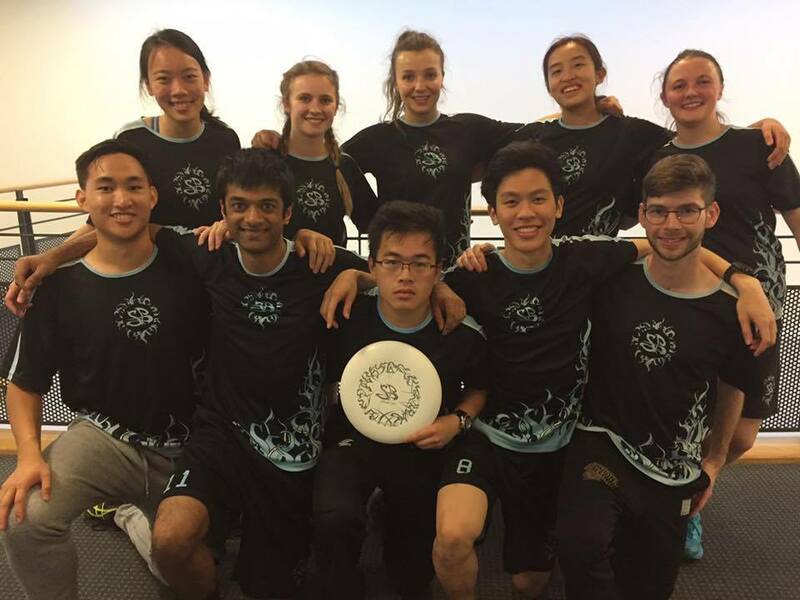 With two early losses against two strong teams, we knew we had to play much better and make smarter choices on the disc. Against Herts 2, we made good plays on both sides of the disc, and came up with the win. This left just our match against UCL 2 to break seed within our pool. UCL 2 had some very good women handlers and they used them to good effect, taking a close fought match. This meant we held seed on Saturday and would start Sunday a good hour before the 1sts. On Sunday, we started with a 14v19 crossover against St Mary’s 2. Eager to avenge our loss to their 1sts, we played with tenacity and got the win. Up next was an 11v14 match against LSE 1. With a strong iso play and good zone defence, it was a hard-fought match which we came out on the wrong side of. This gave us a match against Kings 2 to ensure we would at least hold seed. With some good flowing offense and solid defence, we won the match to set up our last match against Imperial 2 to break seed. Having lost to their 1sts, we were eager for the win and came out strong. Imperial managed to keep it close and with 20 seconds left on the clock and us up by 2, if we managed to hold possession we would win. Unfortunately, they managed to force the turnover and score, forcing the game to go on. Bolstered by this, they kept the pressure on and managed to force universe and went on to win on Universe. With the tough loss on universe, Cambridge 2 held seed at 14 for the weekend.